Pegula Sports & Entertainment (PSE) has hired CAA ICON to assist its efforts in determining the next steps for the Buffalo Bills stadium needs and for potential renovations of KeyBank Center, the home of the Buffalo Sabres and Buffalo Bandits. CAA ICON will conduct a privately-funded study to help identify the best options for ownership, fans and the community. The study will include direct feedback from Bills and Sabres fans. The number one priority for this study is the fan experience. CAA ICON has an extensive resume, having participated in dozens of first-class professional facilities, along with Harborcenter and Penn State’s Pegula Ice Arena. We have the utmost confidence that CAA ICON’s unparalleled experience will help ensure that our venues achieve the highest standards. As both New Era Field and KeyBank Center have aged, they have fallen behind modern standards. Terry and Kim Pegula have invested more than $2 billion of their own money in our market, including $350 million in privately-financed venue upgrades and expansions. With both leases nearing expiration, we look forward to developing a plan and working with our public sector partners to solidify the futures of the Bills and Sabres. 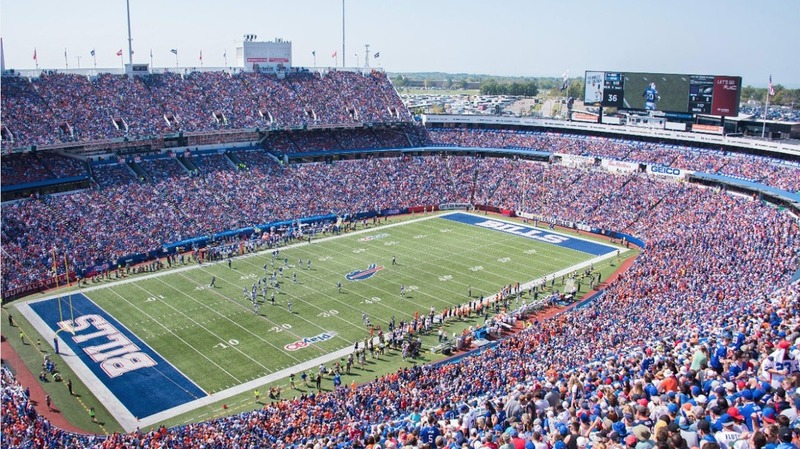 Over the coming months, CAA ICON will guide PSE through a stadium feasibility analysis to identify the needed improvements to all aspects of the fan and team experience at either a new football stadium or renovated New Era Field. The study will equally focus on modernising the more than 23-year-old KeyBank Center. As CAA ICON’s study explores the possibility of a new football stadium, it will include potential stadium sites, design, and financial planning for all options. In addition to CAA ICON’s internal venue development and strategic advisory experts, CAA ICON has partnered with national and local architectural and engineering consultants for the evaluations. Populous, world leaders in the design of iconic arena and stadium projects, will provide architectural services. We are grateful to Terry and Kim Pegula and the entire PSE organization for engaging us on a project that is so personally important to them and their teams’ loyal supporters. CAA ICON will collaborate with PSE, the Bills and Sabres fanbase, and the Buffalo community to understand and unlock the perfect spectator experience and optimize these venues for what is unique to Buffalo and its rich gameday traditions.